Cook dal by adding enough water and keep it aside. Heat ghee in a pan and splutter mustard seeds and cumin seeds. Add chopped onion and garlic and saute well. Then add chopped tomatoes, chilli powder, turmeric powder and salt, mix well and saute for few minutes. Wow! I like such mild preparations without so many masala powders.. 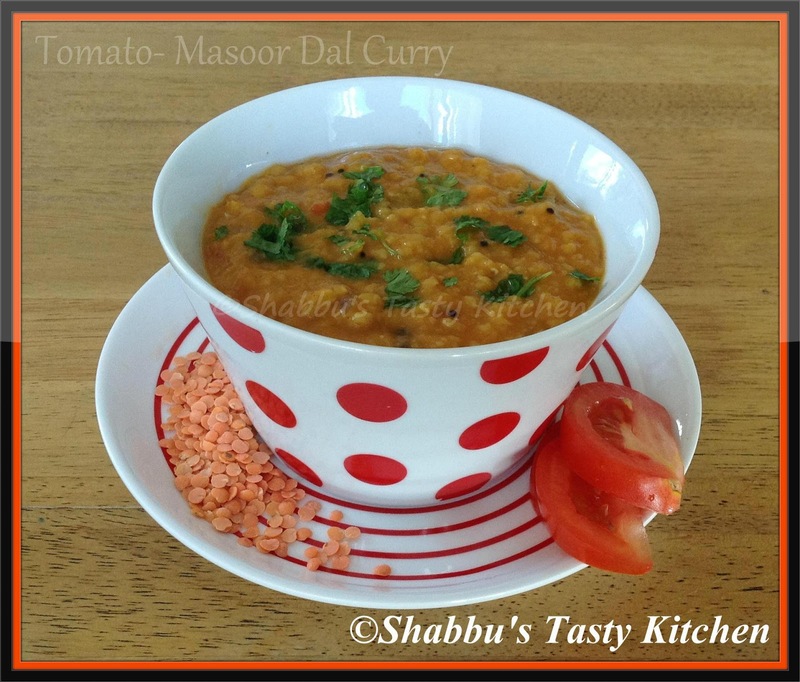 I love masoor dal,yummy comfort dal!! Participate & win e gift vouchers (worth Rs 1000& Rs 500)in Flavors Of Cuisines-"Chinese"
Love that with rice and chapathi.